South Waterfront Block 37 is currently under construction. The 6-story building at 3700 SW River Parkway will include 270 apartments on the upper floors, walk-up units at the ground floor, and 8,359 sq ft of retail space. 225 vehicular parking spaces and 425 bicycle spaces will be provided. The building design is by GBD Architects for developer Mack Urban. 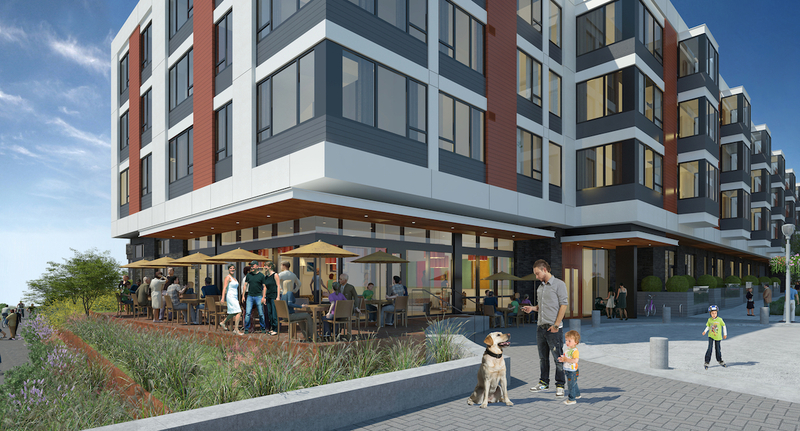 Block 37 will be the first post-recession building in South Waterfront to face directly onto the Willamette.